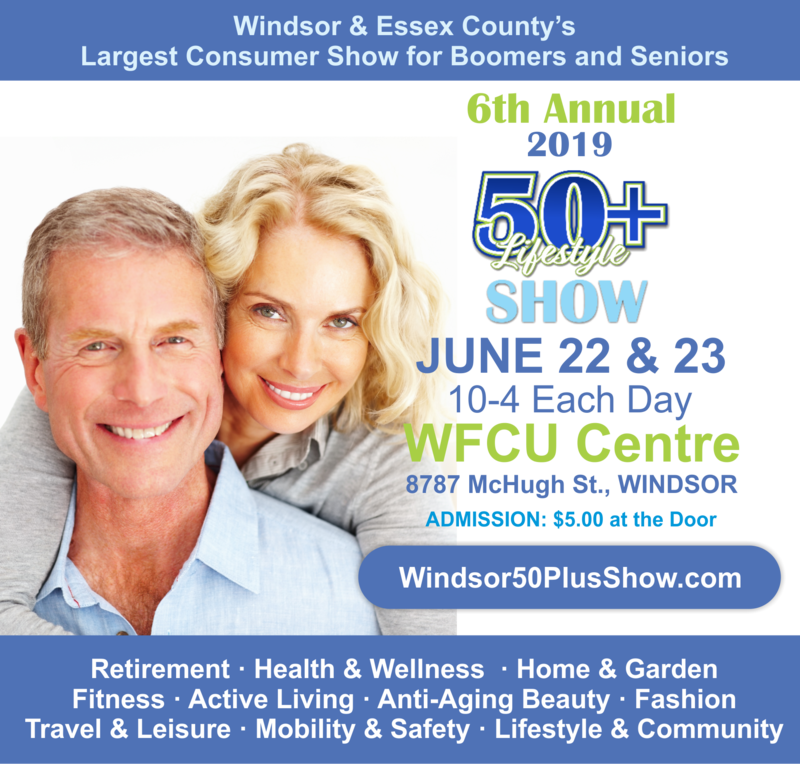 The 6th annual Windsor 50+ Show takes place at the WFCU Centre on June 22 & 23, 2019. This exciting event features 75+ exhibitors with fun interactive displays, live demonstrations, fashion shows, min-treatments, free health screenings and great shopping. It’s everything for better living….from health & wellness, retirement, home, beauty and travel to leisure and recreation, education, lifestyle options and so much more…all under one roof! This year’s 50+ Show will also include lots of door prizes, giveaways, special offers and complimentary refreshments. And the first 500 visitors each day will also get a free gift bag. Admission is $5.00 at the door.